Found 11 file extension associations related to Adobe Digital Editions and 8 file formats developed specifically for use with Adobe Digital Editions. Adobe Digital Editions is currently offered in English, French, German, Italian, Spanish, Dutch, Brazilian Portuguese, Japanese, Korean, Chinese Simplified and Chinese Traditional versions and can display content in a wide range of languages. 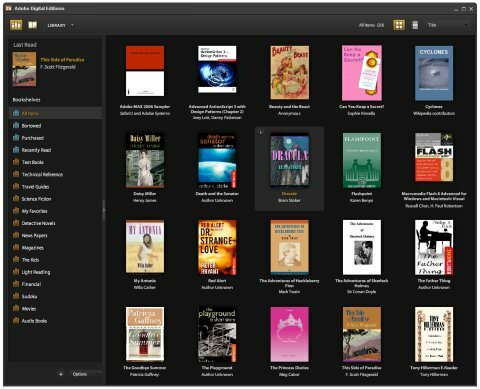 Adobe Digital Editions is available for both Windows and Mac platforms as well as for Google Android and Apple iOS. If you need more information please contact the developers of Adobe Digital Editions (Adobe Systems Incorporated), or check out their product website.